We have four foundation systems available to manage the different ground conditions that you may have. We can construct our garden rooms onto an existing level concrete base, uneven concrete surfaces and also onto lawn or soil areas using in most cases, our precast concrete plinth foundation system, or in some cases our concrete & steel pile system. The foundation system is chosen to meet your individual ground conditions and specified to manage the building loads. 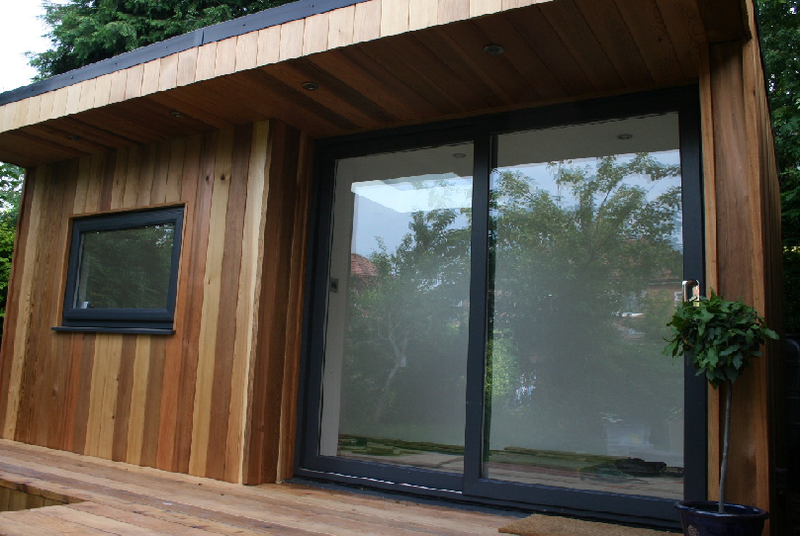 If you have an existing level concrete base, we can install your garden room directly onto this bases with a DPM layer and structural floor connectors. Height adjustable steel feet,used to level the building on uneven existing concrete bases. Sometimes used in conjunction with other methods below to span an old existing slab. Suitable for most grass or soil areas, height adjustable to provide a level base for construction and a sound footing onto the ground. Inclusive of a full site weed control fabric. To depths of 750mm, 900mm and 1000mm, depending on the plasticity of the clay. Inclusive of a full site weed control fabric. See how we managed a challenging split level site and fulfilled a demanding design brief.